We are thrilled to announce that we raised almost $90,000 with our Season 5 Look Who’s Dancing fundraiser! Thanks to the hard work of our Season 5 dancers and the generous and compassionate supporters in our community who sponsored, attended, and supported the event, we raised more funding than ever before in the history of this fundraiser! This funding will help Pathways provide the highest quality of service to our neighbors who are struggling with hunger and homelessness in North OC. 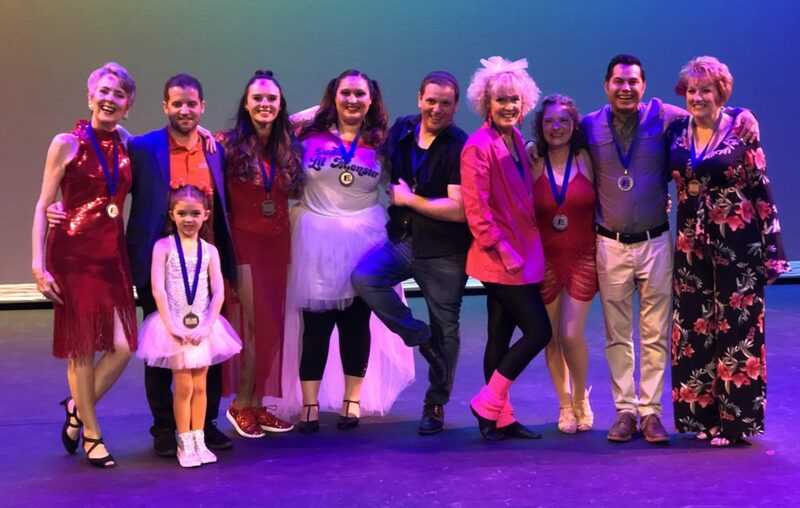 Nine prominent members of the North OC community took the stage and competed in the Season 5 show: Kim Barlow, Ray Fernandez, Pam Keller, Rick Mendez, Debra Pember, Jeanette Reese, Rabbi Nico Socolovsky, DiAnna Tait, and Kristin Wilson. Each contestant was paired with a professional dancer in the style of “Dancing with the Stars,” and each contestant competed to see who could be the best dancer, and who could raise the most funding for Pathways of Hope. At the show, dancer Jeanette Reese took home the Money Money Money Award and the Look Who’s Dancing Championship. The Money Money Money Award goes to the dancer who raised the most money before the event. All in all, Jeanette and her Campaign Managers, Fritz von Coelln, Joanne Hardy, and John van Wey, raised over $30,000 to support Pathways of Hope! The Look Who’s Dancing Championship goes to the dancer who receives the highest score from our Judges. Jeanette received a score of “10” from each of our three Judges, William Lett, Tracy Hanson, and Mark Lee, giving her the highest score of any of our 9 contestants. 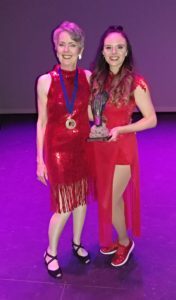 Kristin Wilson took home the People’s Choice Award, which goes to the dancer who raises the most money at the event. All in all, Kristin and her Campaign Manager, Emily Clingan, raised over $10,000 to support Pathways of Hope! Pathways of Hope is so grateful for each and every one of our dancers — Kim, Ray, Pam, Rick, Debra, Jeanette, Rabbi Nico, DiAnna, and Kristin all made this year’s show a spectacular success. Of course, the real winners are the people Pathways of Hope serves, people struggling with hunger and homelessness, people who will find help and hope at Pathways this year. Thank you for supporting Pathways of Hope in our mission to provide food, shelter, and housing services to people who are struggling with hunger and homelessness in North OC. Are you inspired to donate today and support our neighbors in need? It’s easy to make a difference: CLICK HERE to make a donation today!